I have always loved storytelling. As a child I would love writing books and, being completely useless at art, I was thrilled to discover I could paint vivid pictures using words instead. My 7 year old, however, does not seem to have inherited my love of words. Or at least she doesn’t like writing words. Her vocabulary is very good and she has a brilliant imagination – but when she sees a blank page, she freezes. 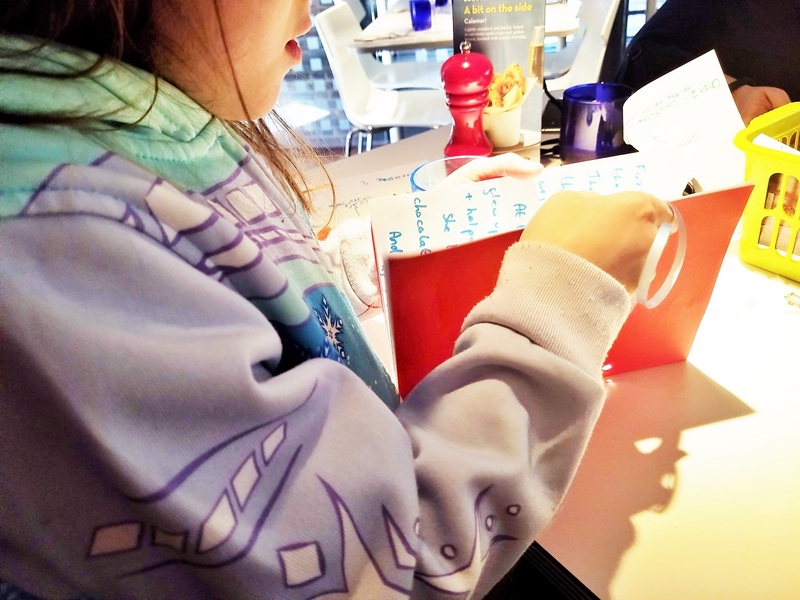 When Pizza Express invited the two of us to a storytelling workshop in conjunction with World Book Day, I was unsure how Jenny would react. However, any of you who follow our Insta stories will know that she actually wrote an entire novel in less than an hour! 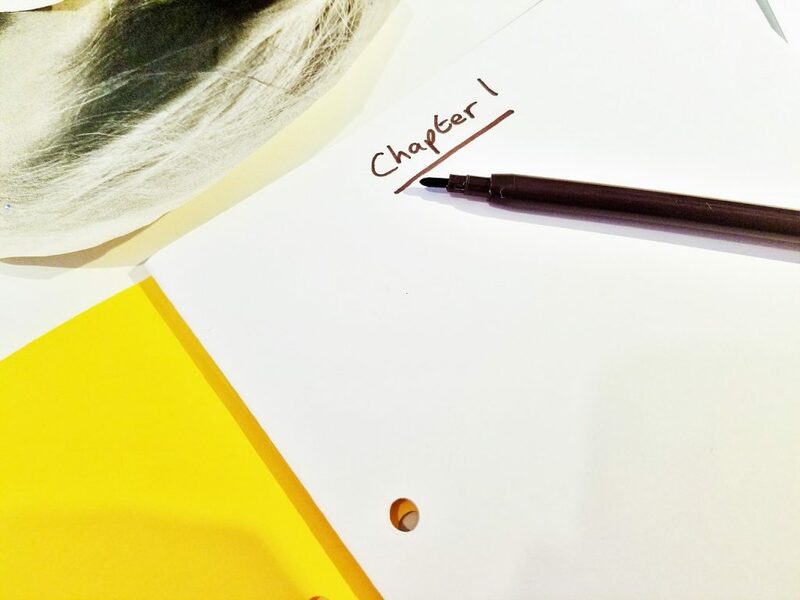 Keep reading to find out some of the storytelling tips we picked up…! The workshop gave us a very clear process to follow so that we completed lots of little tasks rather than getting overwhelmed by being told to write a story straight off. We started by creating a main character, getting ideas from magazine cut-outs and pictures. Then we sketched our character and jotted down information such as its name and interests. After that, we started writing. We were given a simple 4-chapter formula to follow so that our finished novels would build gradually and eventually resolve. Chapter 4: They work together to solve the problem and everyone lives happily ever after! 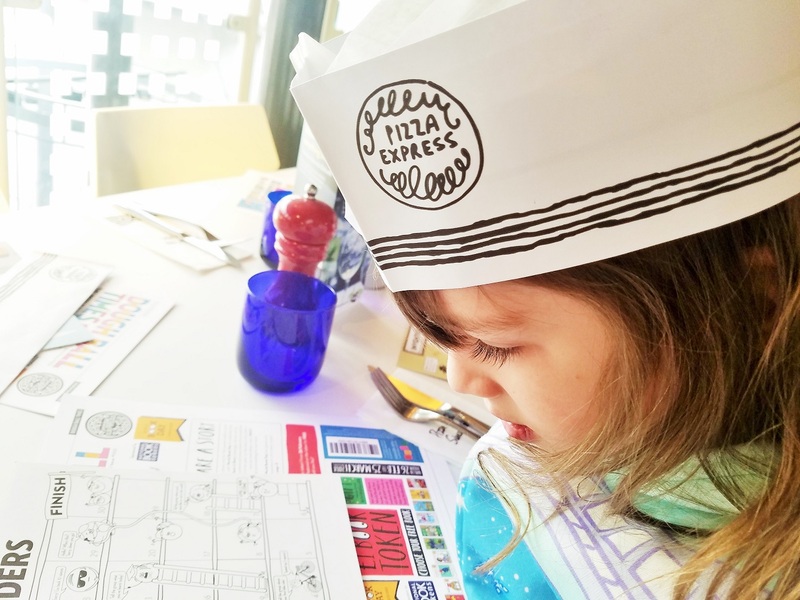 After all our hard work, we tucked into a lovely Pizza Express lunch! I love their dough balls so I was very pleased when they came out as the starter. 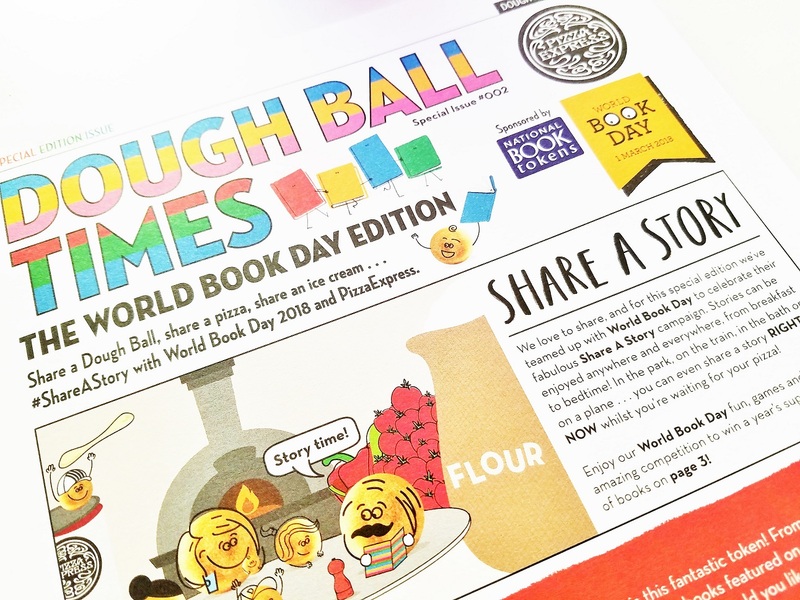 We also got a special edition of the “Dough Ball Times” with lots of ideas for new stories to read and books to buy. 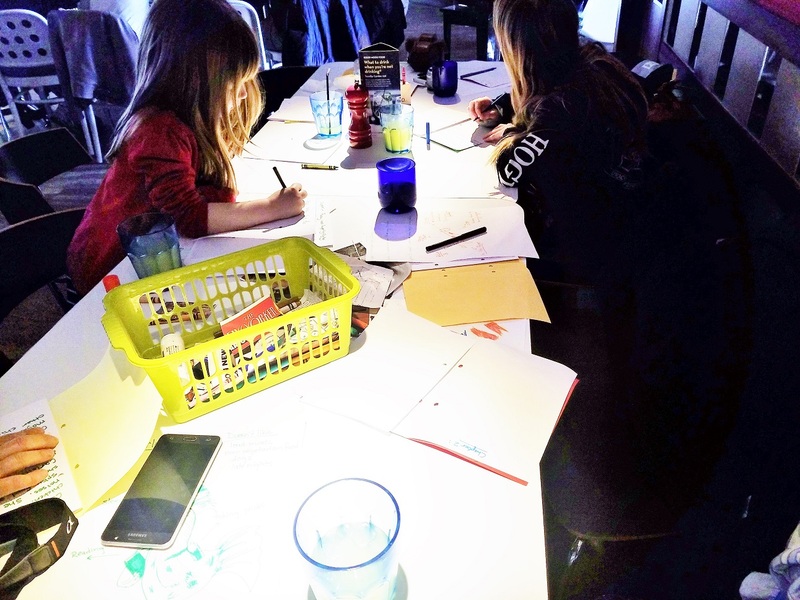 The children were each given a 3-course meal including dough balls, a margarita pizza, and a ice cream for dessert. It’s safe to say that Jenny wolfed it down! And, to be fair, it was delicious! 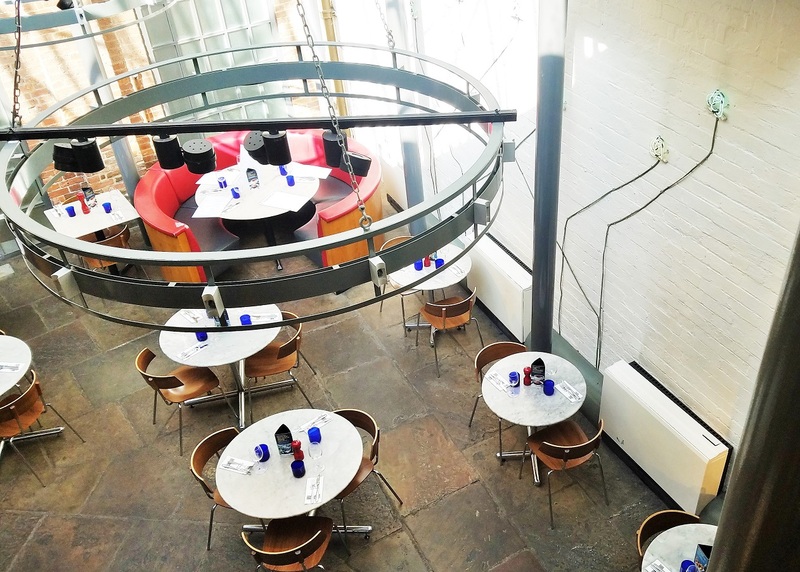 We sat in the upstairs area of the Leeds restaurant which had a nice cosy feel to it, being out of the way and lit with low lights. There was also a baby grand piano (which I reeeeally wanted to play, but managed to resist!) and I bet it’s lovely atmosphere when they have someone up there playing live music. 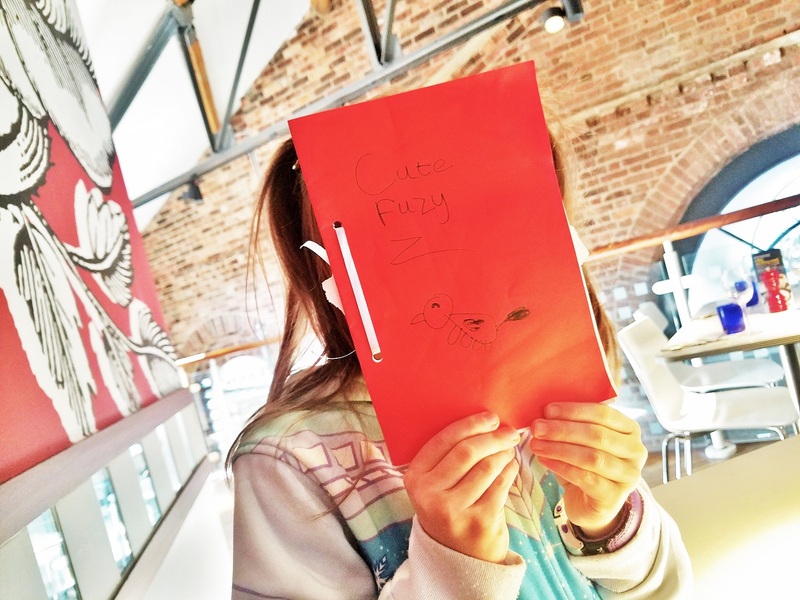 Jenny loved creating her character and her imagination was fizzing with ideas for the story. However, as soon as she opened her book to start writing, she began to fidget and lose interest. She wrote 3 words and stopped. I couldn’t understand it – she had so many brilliant storytelling ideas – why wasn’t she bothered anymore? Just a few moments earlier, she had been super excited about her character – an Easter chick called “Cute Fuzzy”. What had changed? 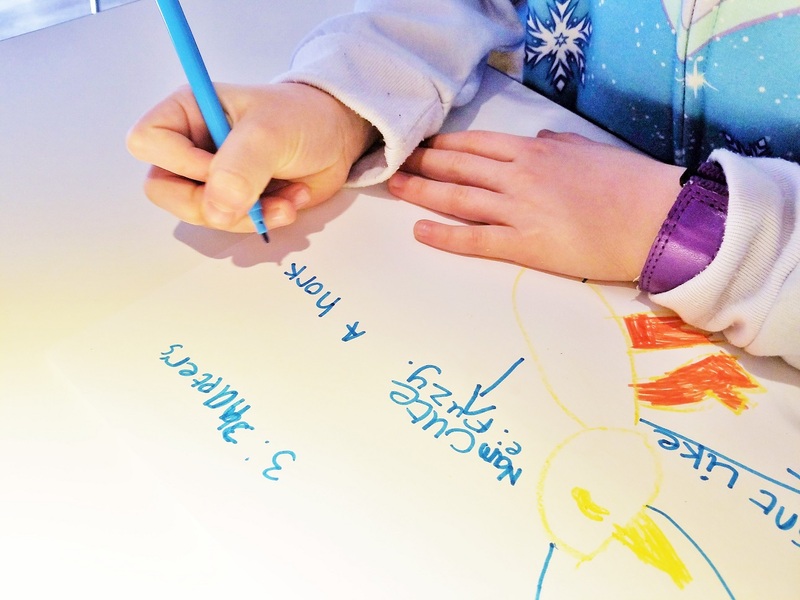 I offered to write the words if she dictated to me, and suddenly, she was back in the room! It was like a switch had been flicked and she was buzzing with ideas again. She crouched over my arm, as she relayed her story, watching me pen every word. 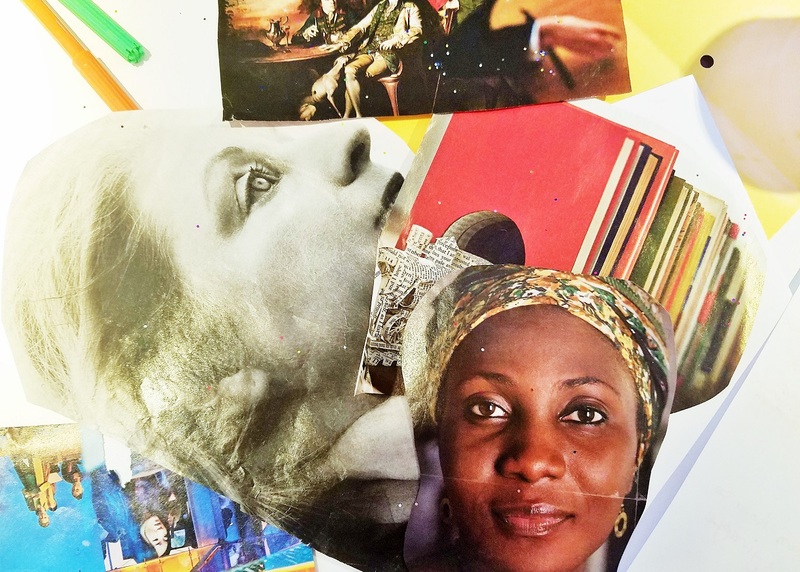 It gave me a real insight into her struggle – Jenny doesn’t dislike storytelling, she just struggles to get the words out of her head and onto the paper. Maybe this is a confidence thing, or maybe the concentration it takes to think about forming the letters makes her lose her train of thought. Either way, when the pressure was taken off her to scribe, she was able to put some brilliant sentences together and create a fascinating 4-chapter story! She was so proud when her novel was finally completed. As soon as we got home, she read it aloud to her daddy and little sister. I think this workshop has really inspired her and given her a boost of confidence. 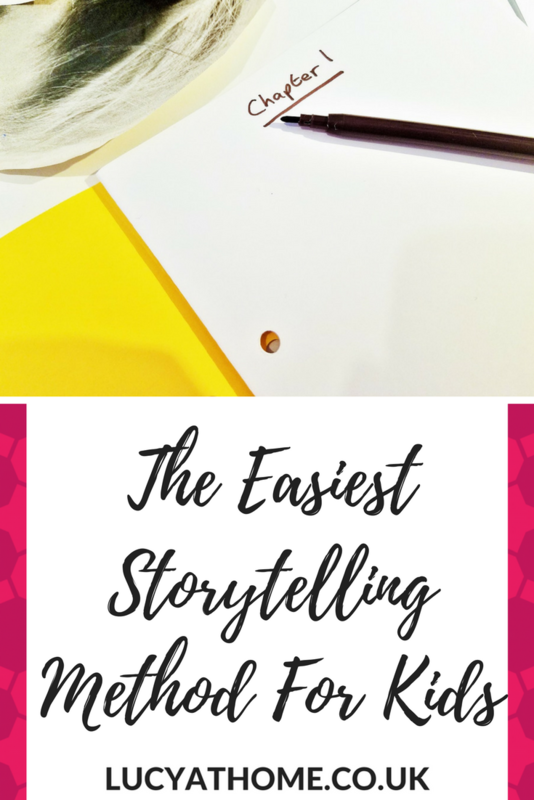 Storytelling does seem to be something that she enjoys after all, and so I’ve been thinking about how I can help Jenny overcome her blank-page-panic. Storytelling can be a great way to get children using their imaginations. It’s brilliant that things like World Book Day exist to celebrate stories and get children enthused about reading and writing. 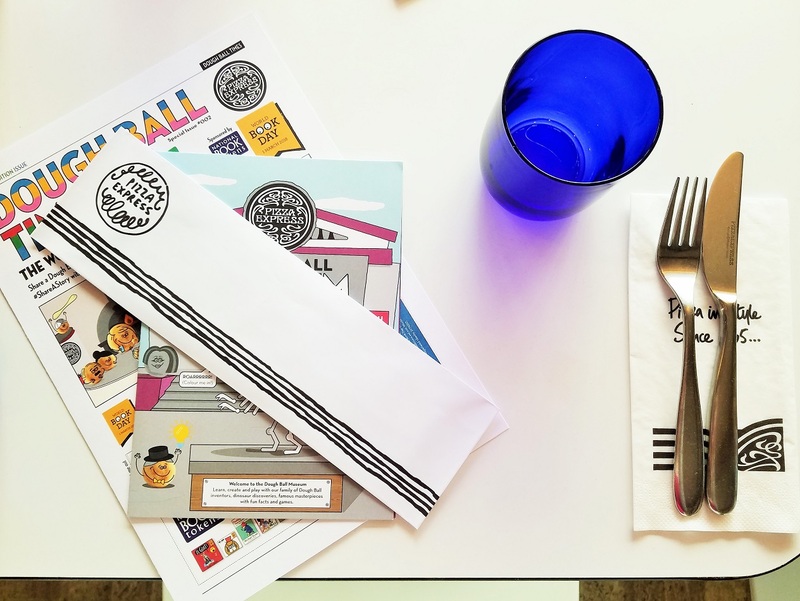 I am very grateful to their official sponsors, Pizza Express, for helping to make the 2018 World Book Day such a success. 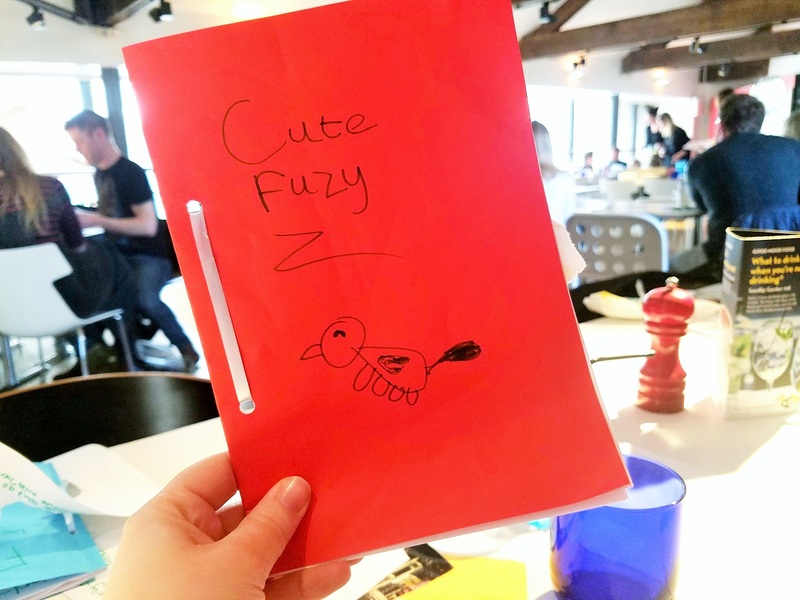 The 4-chapter formula we used is recommended for 7-12 year olds so why not have a go and see what fantastic stories are locked away inside your kids, ready to jump out on the page! Did you enjoy writing as a child? Do your kids like to tell stories? Do you plan out your writing or do you just write and see where it takes you? Let me know in the comments section below. 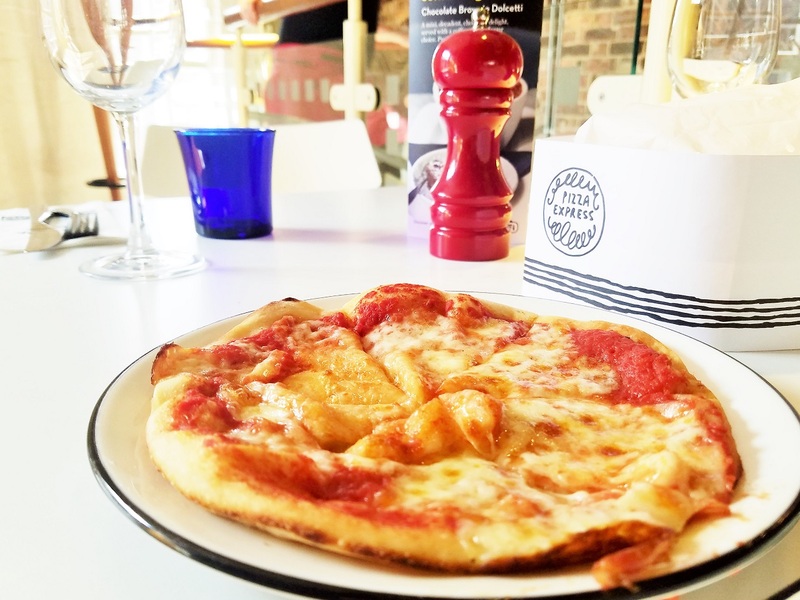 DISCLOSURE: This post is sponsored by Pizza Express. We also attended this storytelling workshop for the purposes of this review. All opinions are my own. For more info, please check out my disclosure policy. 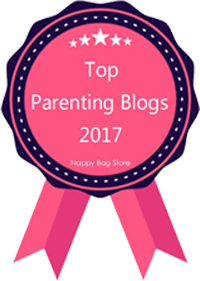 Love this post, was trying to access it the other day but wordpress was playing up. Caroline often dictates her Otto the Bear writing to me for the blog which I write long hand as she then likes me to dictate it back while she types!!! Long-winded but it works. Great suggestions for inspiring kids to get writing. 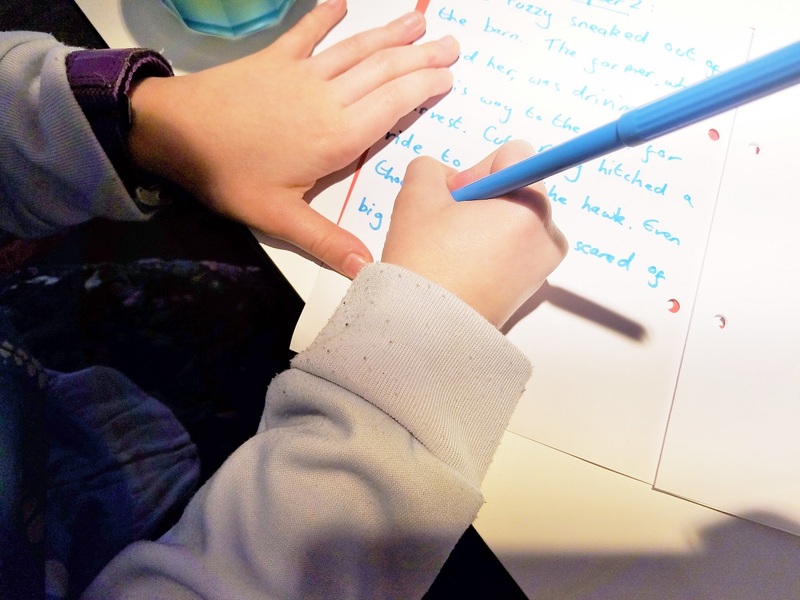 Wondering if your little wildling would like to write a short outdoor, adventure or wildlife piece to go on my Kids Writing pages at Kids of the Wild? Would love to have her on board – and it doesn’t need to be 4 chapters!! !